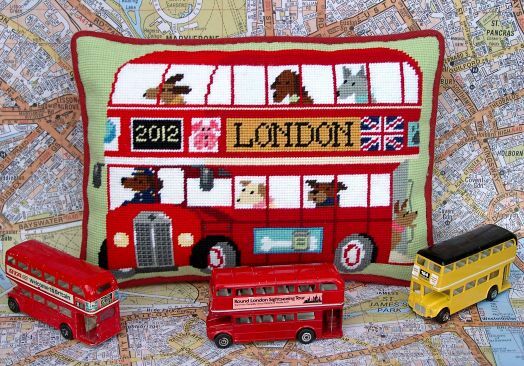 With 2012 set to be a great year for London, Kirk & Hamilton bring you a fabulous Routemaster London Bus design to celebrate. All aboard the 2012 from Barking to the Isle of Dogs! The design comes with an alphabet chart so you can personalise the design as a souvenir of your visit or as birth sampler. The kit uses Anchor tapestry wool on 10hpi canvas and measures 14" x 10" (35 x 25cm) suitable for a pillow or cushion.